One of the best pieces of rain gear I have ever owned are the Montane Astro Ascent pants with Event. Most rain gear I have used leaves you more wet from your own sweat than you would be if you just faced the rain. 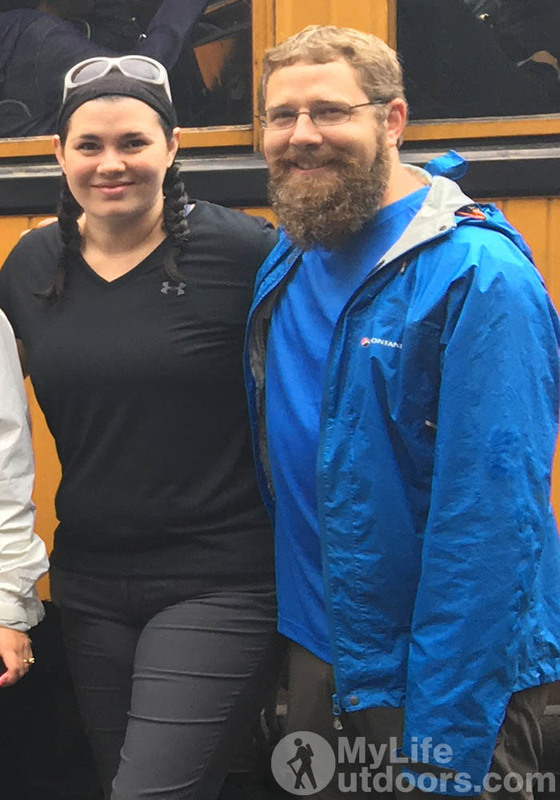 Montane’s event pants are the only rain gear I have ever owned that made me think, “this is what breathable fabric must feel like.” Unwilling to fork out $300+ dollars I have never found a jacket that works quite as well as these pants. Having such great success with their pants I figured Montane must know what they are doing. 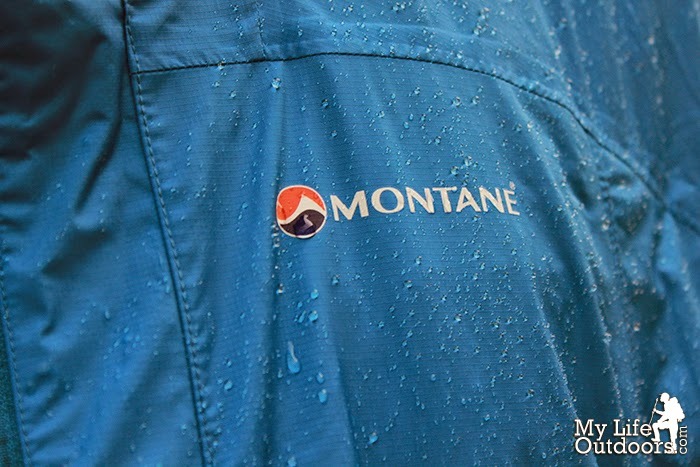 So when a partner offered to send me Montane’s Atomic Jacket, I thought I would give it a try. 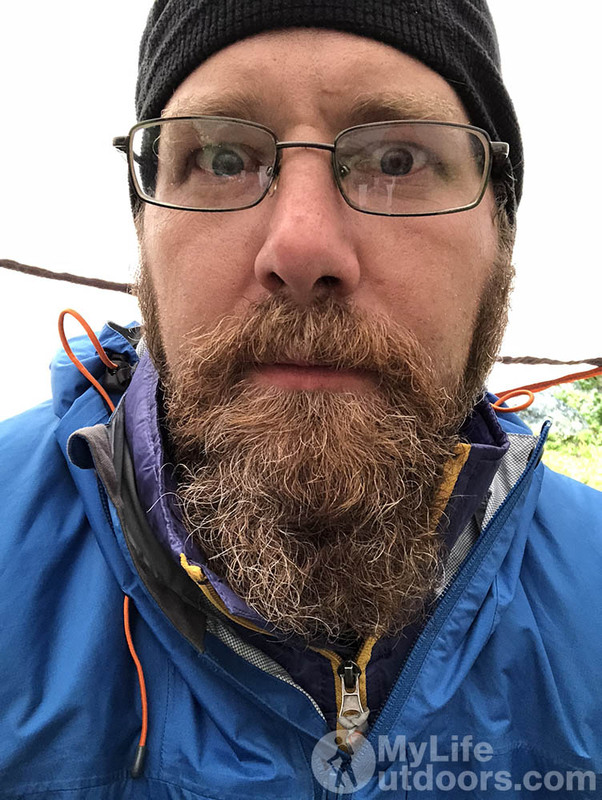 Since owning this jacket I have not had a good downpour on an overnight hike. (Much to my donator’s dismay). So I cannot say I have given this jacket a real good testing. In an effort to make good on my promise to review I took the Atomic jacket out on a run one rainy day around my block. Trying to simulate the same effort I would make on an uphill hike in a downpour I ran around my block 3 times. Rain was coming down hard and I worked up a good sweat. I stopped to take off the jacket and to my delight I was relatively dry. The jacket kept out the rain and breathed well enough to vent. The hood is adjustable and has a wired brim allows for an unobstructed view, while sufficiently blocking the rain. The Atomic has become the only shell I take backpacking, even if I have yet to experience a good downpour with it, I trust the jacket when it counts most. The Atomic uses PERTEX Shield fabric which according to the manufacture “is not only waterproof, windproof and breathable, it also has a hardwearing nylon face with a durable water repellent finish that will keep on performing no matter what the activity.” The jacket weighs in at 11.3 oz, has mesh venting in the pockets (which are situated high enough to clear a packs hip belt) and a helmet compatible hood. Everything I know says this is a very affordable, good preforming, good featured jacket. Next time I hike in a good downpour I will update this review. It has been several years since making this initial review. Since then I have taken my Montane Atomic Jacket on multiple overnight trips and seen a good share of rain. This Jacket lives up to its promise. Lightweight, Affordable, Breathable, dry. The only thing that bothers me about this Jacket is (being a eropean brand) the zipper is reversed from other jackets I own. Every time I go to zip it up I reach with the wrong hands. But that is nothing to complain about. All in all. 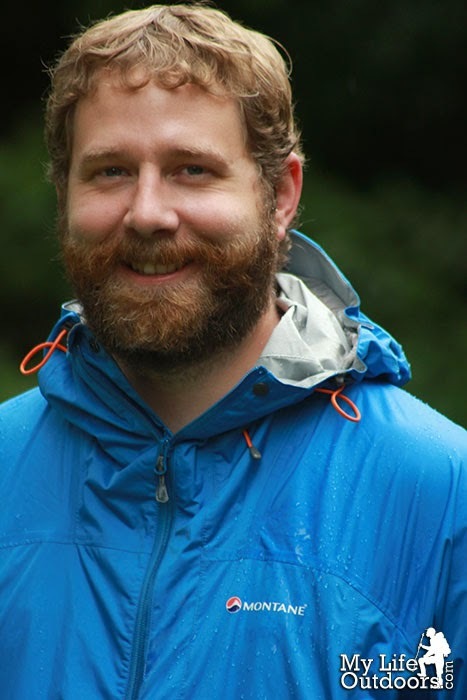 I love my Montane Atomic Jacket. Below are a couple of more recent images of the Jacket I found. Turns out I don’t take my camera out too much in the rain. A weird selfy I found. But hey I’m wearing the Montane Atomic Jacket. I’m not sure but the Atomic Jacket maybe discontinued. You can still find it on Amazon but I don’t know how long that will last. Good to see you back on the blogosphere! It is good to be back!! Thanks for reading.